Since consumer engagement is one of the main goals of social media, quick-service restaurant brands are striving to feed their need for engagement by bringing location-specific marketing to the table. More and more brands have taken a liking to this local marketing because it allows them to target consumers in individual U.S. markets and engage them on a more personal level. 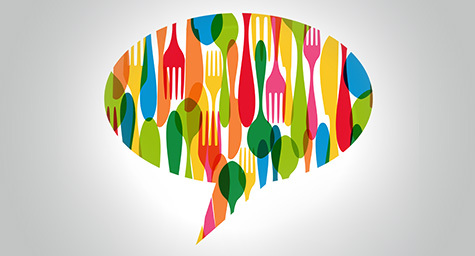 QSRMagazine.com dished up the details on how food franchises are taking a local approach to their social media marketing to keep consumers hungry for more. While early adopters of social media marketing had to create their own local pages, the popularity of local marketing has led social platforms to add these pages as features, such as Facebook Local Search. As a result, franchisees no longer need to build their own local accounts, because their parent companies are creating these for them. All that franchisees need to focus on is fostering community engagement and excitement on these local accounts. Since building a buzzing community can take time, social media marketing experts encourage franchisees to do everything possible to promote and portray a sense of community so that visitors feel like they’re part of a lively local group every time they visit. Wendy’s understands that consumers crave a local experience, so the brand has merged many of its social media accounts over the past 18 months to serve up a more standardized local experience. Realizing that quality content drives consumer engagement, the food franchise uses a copywriter to create all of its Facebook posts to convey a consistent message that translates on a local level. Wendy’s has also been busy building a centralized hub for operators and franchisees called Wendy’s Local. This brand has been gradually rolling out this advanced system that enables local markets to actually post to the national page, yet still be geo-targeted to the local market. Pinkberry joined the social media scene five years ago and starting giving franchisees mobile access on Twitter and Foursquare in 2011. Now, the frozen yogurt franchise has launched a single portal that consolidates all Facebook pages, Twitter handles, and local Instagram tags. This allows the brand’s social media presence to stay a well-connected ecosystem that empowers each location to be community-driven. Pinkberry encourages each store to add local flair to their messaging to give the brand an authentically local image. This includes teaching franchisees how to leverage the Instagram photos taken by local customers for greater engagement and content value. “What’s great about that is we’ve brought in the tools to them, and it’s given them access to their local community base while at the same time all the local pages are in a parent-child relationship with our parent brand,” said Laura Jakobsen, senior vice president of marketing and design at Pinkberry. Dunkin’ Donuts engages its regional and international partners to help localize content for its 31 Facebook and Twitter accounts. The company’s corporate social media team may oversee special promotions and sweepstakes, but they allow individual operators to share local news, events, and partnerships. This shows the local spirit of the global brand. Facebook and Twitter have been prime platforms for driving localized consumer-brand interaction. Facebook offers numerous local options and strategies specifically to restaurants, while Twitter promotes regular real-time messaging and interaction. Plus, localized markting on social media channels is less expensive than on traditional platforms, which makes it more efficient to test out messages and promotions on social channels. These social media tests allow brands to determine which approaches appeal to consumers and then invest their budgets on the best-performing concepts. The local market’s appetite for social media also determines consumer response. Big cities like New York City and Los Angeles are more likely to embrace social communication than smaller towns that are less consumed with social media. While localized marketing can certainly boost business, the greatest advantage of a local social media presence is the way it promotes a more personal relationship with specific customers. Providing consumers with content that is relevant and relatable creates a bond between the brand and the customer that leads to a more satisfying experience. Add social media to the recipe for food-franchise marketing success. Contact MDG Advertising. MDG Advertising, a full-service advertising agency with offices in Boca Raton and New York, NY, is one of Florida’s top franchise marketing companies and branding firms. MDG’s core capabilities include advertising, branding, logo design, creative, infographic development, digital marketing, creative media planning and buying, radio and TV advertising, Web design and development, email marketing, content marketing, social media marketing, and SEO. To stay on top of the latest trends in franchise marketing and advertising, contact MDG Advertising.